How one of the world’s largest collections of vintage Bollywood showcards came to land at the ROM. Angela Hartwick appears fashionably out of place as she prepares to take the stage at the Royal Ontario Museum. It’s a cool Tuesday evening in June and the Kamloops-born Brigitte Bardot look-alike is taking part in a scholarly discussion of Bollywood visual culture. In 2006, Hartwick and her husband, Daryl Visscher (also born in British Columbia), were living in Dubai, where they worked as a team, he taking commercial photographs, she producing them. One day, while on assignment in Mumbai, Visscher found a Bollywood advertisement for a 1970s film called Loafer in a jam-packed variety shop in the city’s Choor Bazaar. Only as his cab was leaving the market area did Vischer realize his wife would love it. He had the driver turn around. When Visscher told Hartwick that the Choor Bazaar had “a whole stack” of similar work, she made plans to go there. 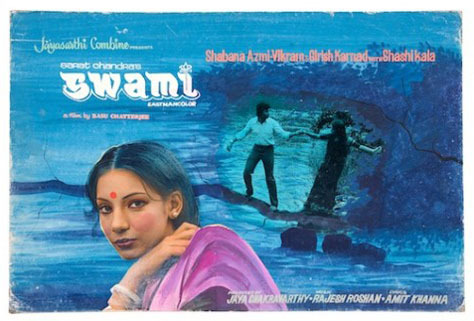 Although Hartwick did not know it at the time, the showcards were a uniquely South Asian marketing material: intimate-sized images, set in glass cases outside Indian theatres and in cinema lobbies for cinema-goers to enjoy during the intermission. They fell out of favour in the 1980s. A few months later, in Mumbai, Visscher introduced Hartwick to Shahid Mansouri, a local shop owner who first started accumulating Bollywood ephemera as a boy in the ’50s. Over the course of five years, Mansouri began to sell Hartwick pieces from his collection. After she’d purchased all the items from his shop, Mansouri took her to his home where, little by little, he allowed her to buy his more cherished pieces. It wasn’t long before Hartwick’s home was packed with 200 showcards. “I kept them under our bed and beside the fridge,” she explains. Despite a lack of gallery experience, Hartwick organized a small show of her collection at the 2009 Bastakia Art Fair in Dubai, which caught the attention of art-world players. On the same day, both Francisco Alvarez, the director of the ROM’s Institute for Contemporary Culture and Deepali Dewan, the ROM’s curator of South Asian Arts, received emails—from unrelated sources—saying they had to see Hartwick’s material. 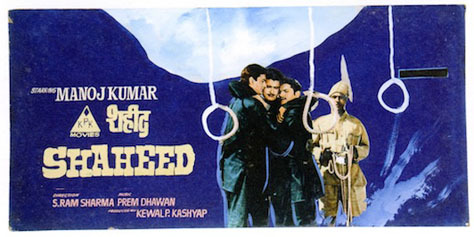 “Unlike Bollywood posters that were mass-produced,” says Dewan, “every showcard was a hand-created combination of paint and photography, making each one an original artwork.” But since the cards weren’t considered special at the time of their production, few exist. “They were meant to be thrown away, not collected,” says Dewan, who hatched the plan to bring the showcards to the ROM. 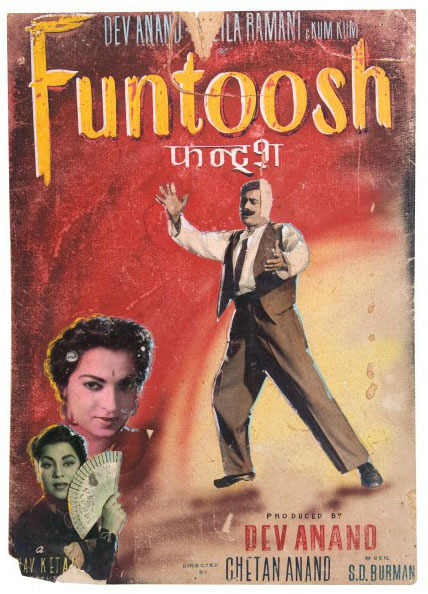 Chronologically organized, the exhibition gives context to the showcards within Bollywood history and will fascinate anyone interested in Indian cinema, photography, painting or popular culture. It also gets to the heart of what it means to love and collect art. 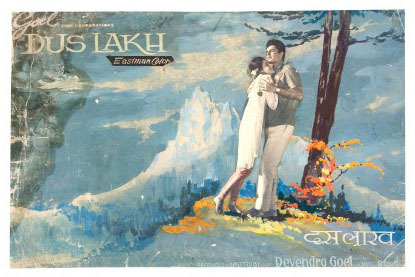 This card features a bucolic scene that could be the Swiss Alps—a popular fantasy location within Bollywood films. The hugging couple is the only part of the showcard fabricated from a photograph. The rest is paint. “Bollywood Cinema Showcards: Indian Film Art from the 1950s to the 1980s” runs until Oct. 2 at the ROM.